Gentle Family Dentistry & Implant Center provides the absolute best for our patients. We provide a full scope of general and cosmetic dentistry with expertise ranging from porcelain veneers to dental implants, crowns, and bridges. Our office caters to a variety of patients, near and far, young and old with the convenience of two locations. We offer the highest quality of dental care to the Bethlehem and Allentown area. Gentle Family Dentistry & Implant Center takes pride in building a caring and trustworthy relationship with our patients. We understand the benefits of promoting proper oral health and providing efficient dental services in a friendly, caring, and professional environment. We want all our patients to achieve optimum oral health. We work with your needs and budget to address your concerns. Our Doctors practice a full scope of general and cosmetic dentistry with expertise ranging from porcelain veneers to dental implants, crowns, and bridges. Gentle Family Dentistry & Implant Center is a family-oriented practice. We offer the latest state-of-the-art dental technologies including digital x-rays (85 percent less radiation than tradition x-rays), digital optical scanners for impressions (no more gaging), intraoral camera, 3D scanning (CBCT cone beam) for implants and Invisalign in order to provide the absolute best for our patients. Our goal is to become the best dental care provider and treat every person like your own family with true compassion, empathy and ethical decisions. Call us at Bethlehem 610.861.0190 or Allentown 610.973.2090. We speak English, Spanish, Hindi, Urdu, and Gujarati. Dr. Gangji has been successfully treating patients in the Lehigh Valley for over 25 years. 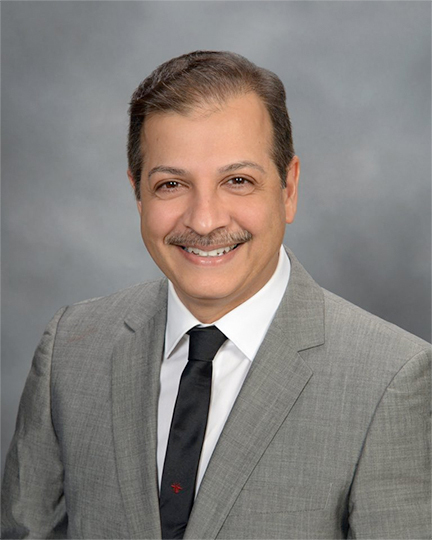 He attended Duquesne University School of Pharmacy in 1985 and later obtained his degree in Dentistry at The Ohio State University College Of Dentistry in 1992. Following his graduation from Ohio State, he received his Advanced GPR residency training in Oral Surgery at Miami Valley Hospital, in Dayton, Ohio. We care for our patients as family and friends, while providing outstanding dental care and maintaining high standards and integrity. Our friendly and longtime staff reflects Dr. Gangji’s ideas and keeps in mind the goals he has set for the future. Very professional staff. Awesome with the kids. Brooke, Jenna, Elaine, Dr Gangji, and Dr Ramirez are amazing. I wouldn't go anywhere else! 1050 S. Cedar Crest Blvd., 1050 S. Cedar Crest Blvd.